At VCC, we envision to enrich the Nature with eco-friendly measures and transform its strength and beauty into the best quality plywood suitable for long-term use. 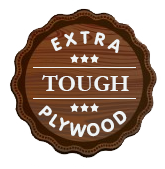 It has been our constant endeavour to become India’s most trusted brand of plywood with our superior-quality plywood range and most committed services at friendly prices. It is one of the most delightful feeling to experience the timeless beauties of Nature in your very own home and we are proud to present you the most stylish, durable and high quality range of plywood that will make your place come alive with the true beauty of Nature.